ZZ Top is a trio that hails from good ole Texas. You probably didn't need me to say that, but I said it anyway. Two of them have big hairy old beards (Billy Gibbons, lead guitar; Dusty Hill, bass guitar) and one guy is without a beard (Frank Beard, drums). Despite the fact that these guys are Texans, they don't seem to annoy me. There's little I dislike more than redneck country-rock. (One day I will review Lynyrd Skynyrd. Hopefully not soon.) But this is far from it --- it's all highly enjoyable, mainline, boogie rock and blues rock. Billy Gibbons has a reputation for being a great guitarist. I can only confirm this; the guitar work here is enormously entertaining. A few of the more mediocre compositions here were made even more enjoyable because of the guitar. So let's talk about the great moments. I don't think the album could have started on a more explosive note than "Somebody Else has Been Shaking Your Tree." That's as enjoyable as mainline blues-rock gets. It'll get your toe tapping in no-time flat. The follow-up is "Brown Sugar." That's perhaps the most 'out of place' song on the album, because its beginning is rather minimal. But I'm in the mood for blues music that actually sounds convincing at it. They manage to make that old, tired genre seem fresh for once. The closing track, "Backdoor Love Affair" is another guitar-heavy highlight. Those who love that instrument probably can't sit through that track and breathe properly. So the best songs bookend this album --- they leave the weaker songs in the middle. Their songwriting doesn't greatly impress me even though they manage to successfully mask that through their instrumentals. This strikes me as a consistent album despite all of that. Everything is based on a solid beat and equally polished tracks. Nothing here sounds like it was throwaway even though some were more unforgivably derivative than others. There is a minor problem of saminess throughout, but that shouldn't be significant enough to put you off this effort. What else could I say? Great debut, dudes! The one problem with ZZ Top that they were still working through is their derivative songwriting. They would work that out some more in the future, but for now, this is the case. Despite that, their previous album First Album managed to come off sounding fresh and invigorating. It's much the same with this sophomore effort except it's not quite as fresh. Too much of this is based on the boring old cliches of blues rock. Speaking as someone who doesn't usually enjoy blues rock, that is a tough pill to swallow. But at least Rio Grande Mud begins well. Maybe it starts out too well! The album opener "Francine" is almost pre-punk in a way --- it's bubbling to the brim of energy. With their strong instrumental skills and a haughty vocal performance from Dusty Hill (who should sing more), that's just a perfect hard rock track. They follow that up with the menacing, guitar-heavy rocker "Just Got Paid," which nearly rivals that one for sheer energy. I realize, while listening to these two tracks, that it probably won't get any better than that, but I'm still disappointed! "Mushmouthin' Blues" is just a disappointment from beginning till the end. It's just too freaking slow. But even worse is the seven-minute ballad "Sure Got Cold After the Rain Fell" which ends up proving that these guys should just stick to boogie rock. Tracks like "Ko Ko Blue," "Chevrolet" and "Down Brownie" are perfectly enjoyable, but they stick to the conventions of their genre so much without getting too exciting that they don't give the listener much to take away from it past its surface value. An interesting track "Bar-B-Q" is worthy of a mention --- there's a good deal of creativity on that one. Trust me, guys, creativity wins over all! Nobody wants to hear another blues/boogie rock band doing the exact same things as everyone else ------ and that song is great. I don't wish to sound too negative, however. I did enjoy this album quite a lot, and I still think its quality is comparable to their debut. 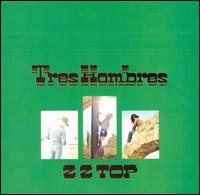 ZZ Top is a first-rate group of their genre. The simple fact that I enjoyed this album while not being a huge fan of the genre is a real testament to this! But it just has fallen victim to problems that they might have done well to avoid. that I discussed already is more than enough reasoning to give Reckoning a good listen, but coming off the heels of such a great album as Murmur, it can't help but pale in comparison. In their defense, I'm pretty sure they were aware of that fact ... and they're still penning plenty of excellent songs. One thing Reckoning has over the predecessor is that it doesn't have such a diversity problem... though I wouldn't exactly call it a *diverse* album. But it's a good album. If you liked Murmur even vaguely, then there's a good chance that you'll like this one, too. It has way too many great songs to ignore. Get it! 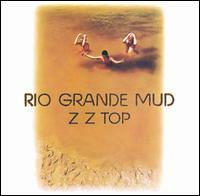 There was a welcome change from their previous Rio Grande Mud. They're proving that there is some creativity within them, and it surfaces here mightily. "Master of Sparks" is the greatest song to hit mankind. OK, I'm exaggerating, but it's a greatly impressive track. It appeals to all of my senses --- it has a catchy riff, catchy melody, fantastic instrumentation and *gasp* even artistic merit. It's the old quadruple threat. But everybody knows this album for "La Grange." Their famous riff that gets enormous play everywhere. (You won't recognize it from the title, but you will within the first second you put it on.) That's a wonderful song as well, which exhibits even more creativity. It's definitely one that you don't mind hearing everywhere. More surprise --- they even take their creative ideas off to the deep end with "Sheik." That's a weird robotic track that makes me wonder if I accidentally turned on some '80s album. It even has a rather bizarre, overextended ending. It was misfired track, but appreciated nonetheless. There are more excellent songs on here than you can sneeze at, but I hate to report that this album isn't such a great classic. A few tracks such as the too-plodding ballad "Hot, Blue and Righteous" aren't so idea-ridden and (unfortunately) and seem misfired. "Jesus Left Chicago" and "Have You Heard?" prove to be decent enough, but they're noticeably weak and disengaging compared to the rest. All in all, this was a nice surprise. It's certainly blues rock, but with their own special stamp on it. That's what artists do!!!! Yay!!!!!!! It's not that I don't think this is an entertaining album, but right after releasing something like Tres Hombres, it's easy to feel a little betrayed by this. The live side is a real mess. Just a huge mess that really puts me off hearing anymore of their live albums. The hopelessly generic "Thunderbirds" opens the festivities. It's fun to hear on a base-level, but nothing truly spectacular. If they're really such a great live band, they're not doing an especially good job proving it. But at least the studio half contains a few good moments. "Mexican Blackbird" is my favorite --- it's a goofy novelty number featuring a hilarious vocal performance from Dusty Hill. But the real hit here was "Heard it on the X" and for good reason. This track could contain the most tight and phenomenal instrumentals that they were ever responsible for... Certainly, the melody or riffs aren't their best, but the instrumentals are a hit as far as I'm concerned. The rest range from excellent to mediocre. "Blue Jean Blues" has a rather boring pace, but the guitar noodling is phenomenal indeed. Though that's contrasted with "Balinese" which is quite a bland old pop-rocker. So, this work isn't as creative as I might have liked... Really the most inessential ZZ Top album yet. The good old band is back with their first completely studio album since 1973. After realizing the error of their ways with Fandango! (hopefully), they turn in Tejas, which turns out to be one of the group's better and more solid efforts. As it turns out, there isn't a poor song in sight. There isn't even a song here that even threatens to be less-than-adequate. That's quite a testament to these guys' ability and dedication to make an album full of solid material. 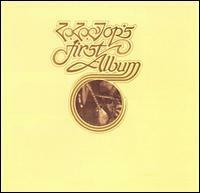 But one unfortunate thing about this album is there's nothing quite as spectacular or memorable as their earlier hits. There's no "Francine" to rock out to or that classic hit "La Grange." Nothing as famously flamboyant as "Master of Sparks" or as charmingly adorable as "Mexican Blackbird." 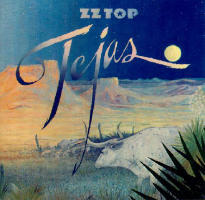 At least Tejas has the atmospheric "El Diablo," easily the best song of the album, which is turns out to be one of this group's more creative efforts. I would describe none of these tracks as middle-of-the-road. Though they don't come out with a hit that's particularly worthy of memorization, this is just a fun album to sit through and it never lets up. They almost always come up with something interesting and fresh with each track even though the melody itself might just be generic blues material. Notably, Gibbons is experimenting with guitar tones, and he comes up with a few interesting sounds. This album has a mixed reputation among many music critics, but I think this is an enormously fun album and one that you shouldn't mind adding to your collection. This seems like great road-trip music. Everything has an excellent beat (thanks to first-class drummer Frank Beard), and it's a few safe notches above generic. OK, there's no hits, but so what? The sound is clean, and it's a fun experience. Needless to say, ZZ Top fans must own this. If not for anything else, for the guitar work. ZZ Top have always been consistent, but never THIS consistent. With one exception, all of these tracks are B-grade. Everything's too good to be mediocre, and nothing's good enough to be great. There's the hit, "Cheap Sunglasses," but that just gets an A-. This is album's a little too good to be branded with middle-of-the-road status, but it's a little too boring to be deemed exciting. Well I don't know what I should say. I'm bored but content? The major experience that's missing is a slicked-up, danceable song. It seems like they're usually good for at least one of those in every album. Everything is mid-tempoed, and, furthermore, 80 percent of everything is blues or boogie-rock. So, they aren't doing anything they haven't done before. The one exception to that is the unusual experimental number "Manic Mechanic," which goes in and out of an unusual time signature. It's clear that I've run out of things to say. It's just not the sort of album that inspires words. I'd recommend Deguello, but only if you're already love their other albums, and you must have more to survive. 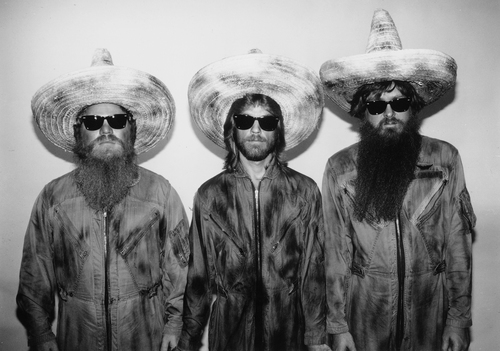 When ZZ Top were in their 20s, they had it figured out: If they grew long beards and wore sunglasses everywhere they went for the rest of their lives, nobody would ever notice that they were getting older. That is except for Frank Beard who refuses to grow a beard, since I guess that would have ruined the band's funniest joke. (Or, my personal theory--he was too afraid he'd lose his drum sticks in the thick of one of those beards.) ...Actually from where I was sitting at the concert--which was the very, very, very back row--Billy Gibbons and Dusty Hill both looked quite a lot like action figures. And the stage looked like a shoebox. By the way, this concert review will not be very long. Or at least not as stupidly long as my other concert reviews have been lately. Part of the reason for that is, even though I like ZZ Top quite a lot, they weren't exactly an act I'd been itching to go see. I very nearly didn't go to see them, actually. It was only when I was at the Yes concert two weeks ago that I saw an advertisement for ZZ Top, and I figured why not? Without a doubt, it was good to finally see some real rock 'n' roll for a change! That is, was the first concert I've been to this year where there wasn't an acoustic guitar or a keyboard in sight. It was just an electric guitar, bass guitar, and drums... and of course, we all know who mans these instruments! I heard somewhere that ZZ Top was the longest living band to continuously retain its original line-up, which is indeed a feat. The guy who was sitting next to me was narrating the entire concert outloud to himself, and he concurred with what Gibbons said about ZZ Top using only three chords. Also, according to that guy, Gibbons is at his best when he uses a Fender guitar. When he uses a Les Paul, he said, he's still good, but he's not as good. ...I wasn't really in any position to argue with the guy sitting next to me. There were many guitars that Gibbons played that evening, and one of them he used to demonstrate that he had some kind of magic power. That is, he somehow played a guitar solo one handed! There I saw him with his left hand plopped down to his side, and he was moving his right hand's fingers along the neck. "How am I playing this guitar with one hand?" he said to the audience tantalizingly. He then flipped that guitar over to reveal a piece of paper that was adhered to the back of it, which read "Beer." The crowd, of course, howled at this. I didn't though, because it didn't make sense. I've heard of beer doing many things to people, but granting them invisible limbs was never among them. ...I think it would have been much more awesome if the message read �I'm a Space Alien." Though that probably wouldn't have prompted nearly as many howls from the audience! Maybe the real reason this concert review won't be terribly long is because I could only recognize four of the songs they played. One of them was �La Grange� and the other three were from Eliminator. The three songs from Eliminator were--and I bet you can guess them--�Gimme All Your Lovin',� �Legs,� and �Sharp Dressed Man.� ...Just to prove how out-of-it I was at this concert, when Frank Beard started to play that blank drum intro to �Gimme All Your Lovin'� I had this quick thought flash through my mind: Why does it sound like they're about to play Queen's �Fun It?� Well thank goodness it wasn't that! Gibbons did acknowledge that he was in "Western Washington," although he pointed to the venue sign that read "Snoqualmie Casino" and said: "Just don't make me pronounce that word." Although he would eventually make a pretty decent go of it when he sang "My Head's in Mississippi," at one point replacing "Snoqualmie" for "Mississippi." ZZ Top is of course known for their many onstage gimmicks. My favorite of them to see was the nearly Gibbons overlap the nearly identical Hill on stage while they both rocked back and forth and played their guitars. There was another point when Gibbons held the neck of his guitar up vertically while sustaining a high note, and then he let gravity slide the guitar down bringing that tone down to a low note. Oh, and another thing they did was bring out fuzz guitars... that were literally fuzzy. I mean, they looked white fuzz balls with a neck and guitar strings. They used those instruments to perform "Legs." Another memorable moment was when Gibbons lit a cigarello and played a lengthy solo as it billowed up ribbons of smoke. By the way, there was this movie playing on stage during the entire show, which depicted mostly a voluptuous, blond woman with tattoos, skimpy clothes, and cowboy boots. I tried not to watch it, because I was there to see the band... but she was so... voluptuous. Other times, there were usually some old movie footage. During their performance of "Pincushion," I remember constantly seeing a black and white image of a woman in the middle of a dense crowd jumping up and throwing a dagger. 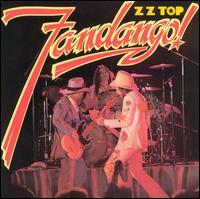 ZZ Top did play a new song called �I Gotsa Get Paid,� which will be featured on their upcoming album La Futura. Gibbons described as "Just a little low-down." For sure, it wasn't the best song they did that evening, but I thought it was a pretty good song regardless. I mean, it used those same three chords, so I'm sure the ZZ Top fanatics in the crowd liked it!